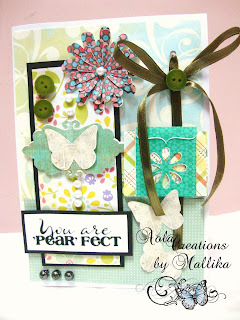 This is Mallika with my DT post for Imaginationsonline . Few days back I received my amazing DT goodie bag .. I was stunned .. I got DCWV sheets 54 sheets of custom pack sized 6 by 6 . Here is the pic .. I couldn't wait so I made this Card for my Mom and Dad's 24rth Anniversary which is tomorrow .. using the papers . 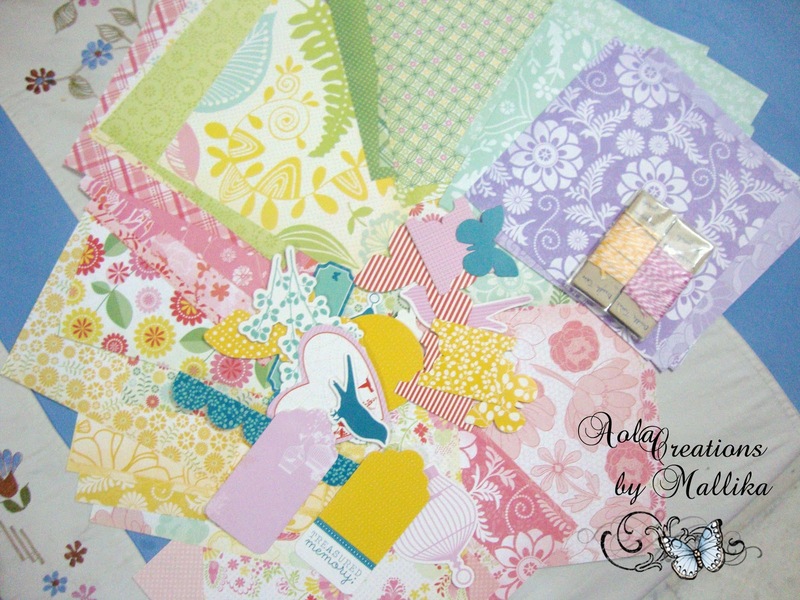 Believe me these are best for a card maker .. they are so versatile . Look at those little notes .. they can be kept in the note holder above !